No matter where you live in Southern California, temperature control is a huge factor when it comes to the comfort of your home. Our summers can be stifling and the winters can be surprisingly cold so having an HVAC system that functions properly is an important part of your household. While we all end up waiting till something goes wrong before calling a professional, it is important that we maintain our HVAC system throughout the year. By including good maintenance practices, we gain a long list of benefits we’d likely forget about until it was too late. A well-maintained system can ensure you’re saving money! If you are not keeping up with your system, you risk components wearing out or getting dirty. As the parts lose their functionality, it has to work twice as hard to do the same amount of work which adds to your utility bills. If you keep your HVAC system under close surveillance, you save energy and money on both bills and repairs. You also ensure your home is receiving efficient and high quality air. Systems that don’t receive regular attention can produce too little or too much heating and cooling which can cause discomfort for everyone in the house. Your air will be better quality and always be producing the correct amounts. Emergency breakdowns are less imminent when you put forth the effort to maintain your HVAC system. No one wants their system to fail during the worst possible times. If you make sure to get your HVAC system serviced prior to the high and low months, you can completely avoid the risk of breakdown. Breakdowns can be expensive and highly inconvenient, but if you make sure to address problems before they arise, you don’t need to worry at all. Finally, just like a car, your HVAC system will last longer if you take care of it. If you don’t change your car’s oil regularly, you can destroy the vehicle completely. Your heating and air systems work the same way. If you’re not making sure the parts are clean, moving, and functioning as intended, you can cause permanent damage and have to replace it in its entirety. It’s a huge ordeal that can be expensive and is completely avoidable with the right precautions and care. We recommend HVAC system maintenance for everyone. The reduced costs of solving the little problems can be incredibly small in comparison to replacing the entire thing when it breaks down. 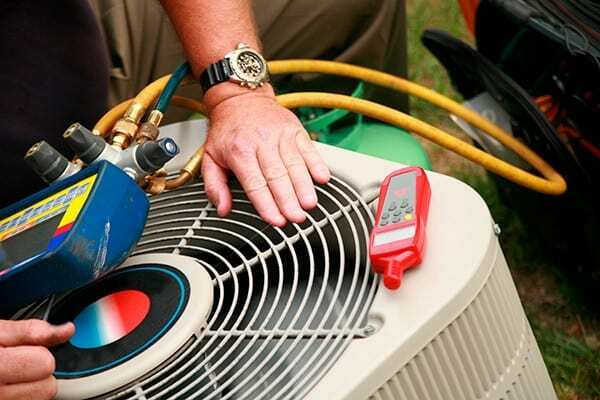 You ensure that your HVAC system is running efficiently and giving you high-quality air all year round. Call ProFlo to schedule your HVAC maintenance check today!